"This is the beginning of a new wave of mass surveillance in Japan," the 33-year-old American said in an exclusive interview with Kyodo News while in exile in Russia, referring to a so-called anti-conspiracy bill that has stirred controversy in and outside Japan as having the potential to undermine civil liberties. The consequences could be even graver when combined with the use of a wide-reaching online data collection tool called XKEYSCORE, the former contractor for the U.S. National Security Agency said. He also gave credence to the authenticity of new NSA papers exposed through The Intercept, a U.S. online media outlet, earlier this year that showed the agency's surveillance tool has already been shared with Japan. The remarks by the intelligence expert are the latest warning over the Japanese government's push to pass the controversial bill through parliament, which criminalizes the planning and preparatory actions of 277 serious crimes. In an open letter addressed to Prime Minister Shinzo Abe in mid-May, a U.N. special rapporteur on the right to privacy stated that the bill could lead to undue restrictions of privacy and freedom of expression due to its potentially broad application -- a claim the Japanese government has strongly protested against. Snowden said he agrees with the U.N.-appointed expert Joseph Cannataci, arguing the bill is "not well explained" and raises concerns that the government may have intentions other than its stated goal of cracking down on terrorism and organized crimes ahead of the 2020 Tokyo Olympics. The anti-conspiracy law proposed by the government "focuses on terrorism and everything else that's not related to terrorism -- things like taking plants from the forestry reserve," he said. "And the only real understandable answer (to the government's desire to pass the bill)...is that this is a bill that authorizes the use of surveillance in new ways because now everyone can be a criminal." Based on his experience of using XKEYSCORE himself, Snowden said authorities could become able to intercept everyone's communications, including people organizing political movements or protests, and put them "in a bucket." The records would be simply "pulled out of the bucket" whenever necessary and the public would not be able to know whether such activities are done legally or secretly by the government because there are no sufficient legal safeguards in the bill, Snowden said. Snowden finds the current situation in Japan reminiscent of what he went through in the United States following the terror attacks on Sept. 11, 2001. In passing the Patriot Act, which strengthened the U.S. government's investigative powers in the wake of the attacks, the government said similar things to what the Japanese government is saying now, such as "these powers are not going to be targeted against ordinary citizens" and "we're only interested in finding al-Qaida and terrorists," according to Snowden. But within a few short years of the enactment of the Patriot Act, the U.S. government was using the law secretly to "collect the phone records of everyone in the United States, and everyone around the world who they could access" through the largest phone companies in the United States, Snowden said, referring to the revelations made in 2013 through top-secret documents he leaked. 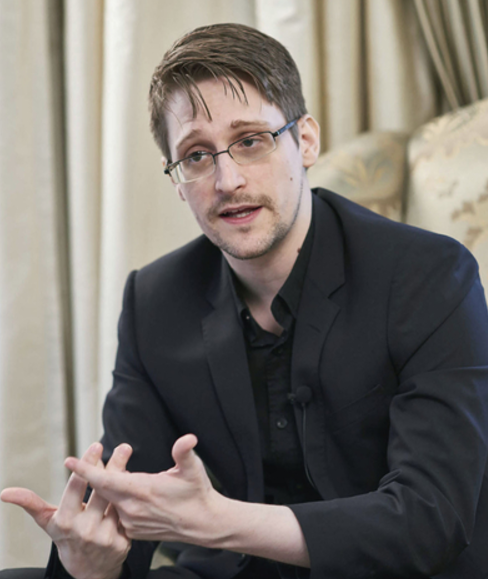 Even though it sacrifices civil liberties, mass surveillance is not effective, Snowden said. The U.S. government's privacy watchdog concluded in its report in 2014 that the NSA's massive telephone records program showed "minimal value" in safeguarding the nation from terrorism and that it must be ended. On Japan's anti-conspiracy bill, Snowden said it should include strong guarantees of human rights and privacy and ensure that those guarantees are "not enforced through the words of politicians but through the actions of courts." "This means in advance of surveillance, in all cases the government should seek an individualized warrant, and individualized authorization that this surveillance is lawful and appropriate in relationship to the threat that's presented by the police," he said. He also said allowing a government to get into the habit of collecting the communications of everyone through powerful surveillance tools could dangerously change the power relationship between the public and government to something closer to "subject and ruler" instead of partners, which is how it should be in a democracy. Arguably, people in Japan may not make much of what Snowden sees as the rise of new untargeted and indiscriminate mass surveillance, thinking that they have nothing to hide or fear. But he insists that privacy is not about something to "hide" but about "protecting" an open and free society where people can be different and can have their own ideas. Freedom of speech would not mean much if people do not have the space to figure out what they want to say, or share their views with others they trust, to develop them before introducing them into the context of the world, he said. "When you say 'I don't care about privacy, because I've nothing to hide,' that's no different than saying you don't care about freedom of speech, because you've nothing to say," he added. Snowden, who was dressed in a black suit, said toward the end of his more than 100-minute interview at a hotel in Moscow that living in exile is not "a lifestyle that anyone chooses voluntarily." He hopes to return home while continuing active exchanges online with people in various countries. "The beautiful thing about today is that I can be in every corner of the world every night. I speak at U.S. universities every month. It's important to understand that I don't really live in Moscow. I live on the internet," he said. 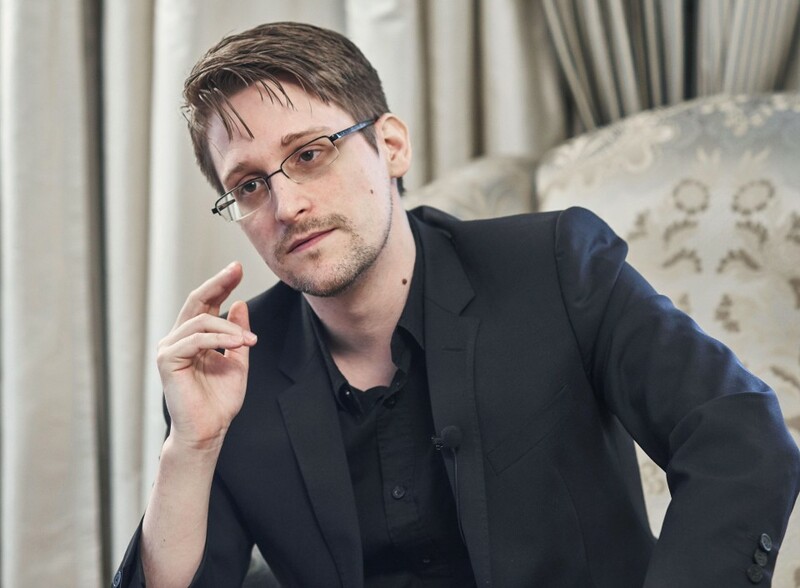 Snowden showed no regrets over taking the risk of becoming a whistleblower and being painted by his home country as a "criminal" or "traitor," facing espionage charges at home for his historic document leak. "It's scary as hell, but it's worth it. Because if we don't do it, if we see the truth of crimes or corruption in government, and we don't say something about it, we're not just making the world worse for our children, we're making the world worse for us, and we're making ourselves worse," he said.